At the mention of the blockchain, what quickly leaps to the minds of most people is the technology that powers cryptocurrencies and their networks. But blockchain is not limited to that. The innovative technology is transforming various sectors, and the Internet of Things (IoT) is not an exception. With the adoption of the technology, there is great optimism that attacks on IoT systems will soon be a thing of the past. IoT systems have been a soft target of attacks given the lack of solid authentication mechanisms that would ensure the security of users’ data. 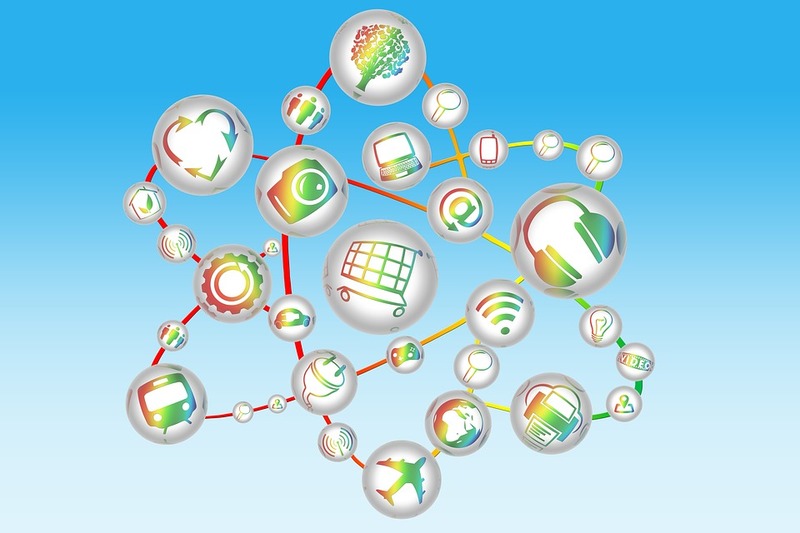 The Internet of Things (IoT) refer to the interconnection via the Internet of various physical devices such as electronics, office appliances, and home equipment. The IoT devices are capable of exchanging data over a network without requiring direct human intervention. The number of devices on IoT systems is expected to rise to 20.4 billion by the year 2020, with an average person having at least 3 devices. However, as the IoT systems reach more people globally, concerns surrounding the privacy and security of these devices also rise as attackers continuously compromise the safety of their data. For example, in the U.S. alone, 48% of companies with IoT systems have suffered security breaches. Here are a few ways through which IoT devices can get compromised. Online security breaches: Where devices are connected to the Internet, hackers can unlawfully gain access through the weak spots in the system and steal vital information. The hackers can conduct identity theft by stealing passwords and PINs and introducing ransomware that alter the functioning of the devices. Surveillance breaches: IoT systems installed on premises for surveillance purposes are usually prone to attacks. The security of such devices can be compromised when hackers gain entry into the systems and invade the privacy of the owners. Malicious codes injection: Attackers can send malware to IoT devices to infect them and render them permanently unusable. These malicious codes can be spread through cloning, spoofing, and data sinkholes. With the above security and privacy concerns on IoT systems, users and companies are seeking ways of improving them. And, this is where blockchain technology in IoT promises to offer the much-needed solution. Those who know the impact that this innovative technology has in the world today refer to it as the “new Internet”. It has disrupted the tech space the same way Netflix did to the movie industry and Uber to the transport sector. Simply, the blockchain is a digitally maintained ledger of repository transactions arranged in chained blocks. The categorized blocks of transactions are chained together to form a cryptographic hash so that in case of any interference with a block, the hash changes, which renders the whole chain invalid. The ledger is decentralized and distributed; therefore, there is no single central server or location from which transactions originate. For transparency, the ledgers make use of peer-to-peer networks that are self-regulating and the transactions are accessible publicly. Since data is not managed in one central place, the risk of a security breach is highly minimized, which offers added protection to the privacy of users’ data. How does Blockchain Secure IoT? To effectively manage the network operations, the current IoT model works using a client-server architect design that is distributed and relies on a central authority. However, this has proved to be the weakest point concerning the security of IoT devices and equipment as the central authority makes all the decisions. Surprisingly, the IoT systems are not able to make “smart” decisions in the case of cyber attacks without the central authority’s assistance. This means that in case of a security breach at a single point, the attackers are in a position to access most of the critical data, leading to extensive damage of the networks and systems. This has led to an increase in attacks as hackers exploit these weak points in IoT devices. For example, distributed denial-of-service attacks (DDoS) increased in 2017 by a whopping 91%. Managing IoT devices using blockchain platform works by decentralizing the system of control and dissolving the threat of single point decision making. It works by creating a group consensus within blocks of transactions that are acceptable within a network and any deviation from the norm is invalidated and quarantined to protect other devices. This guards the IoT network against attacks and prevents other devices from the effects of compromised security. The IoT ecosystem can be security-tight and trustworthy when secured with blockchain. The technology requires individuals to use specialized keys before entering the network and accessing the digital ledgers. All transactions also have inherent accountability built in the network for validation purposes and prompt identification of irregular modifications. This helps the network to trace back illicit transactions to the devices responsible and disallow them from the network since the other devices reject any changes that are not in sync with group consensus. The blockchain also secures different IoT devices to interact in a trustworthy ecosystem given the sufficient trail of evidence for the cooperation. Lastly, the physical theft of IoT devices secured by blockchain is deterred since a stolen device can be easily identified in the network and the relevant details sent to authorities for further action. For IoT devices to be more reliable, using blockchain for security is the way to go. But security is not the only benefit: reduced costs, improved efficiencies, and eliminating middleman drama will be a definite plus. Do you think the blockchain technology can secure IoT devices?